When your work involves handling larger objects that may damage the skin of your wrists and forearms as well, even the best cut resistant gloves are not enough. The Uvex C500 Level 5 Cut Resistant Sleeve is designed to offer outstanding cut protection for the forearm and is ideal for sharp edge work like glass and sheet metal handling applications. 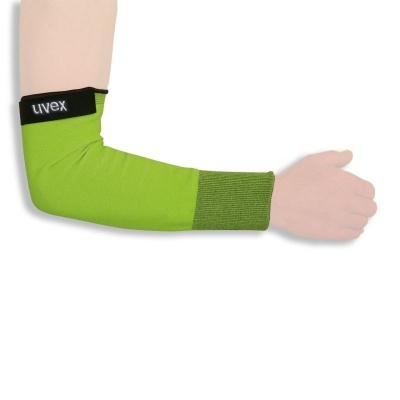 The Uvex C500 Cut Resistant Sleeve is available in two different sizes. Please consult the table below for more details.